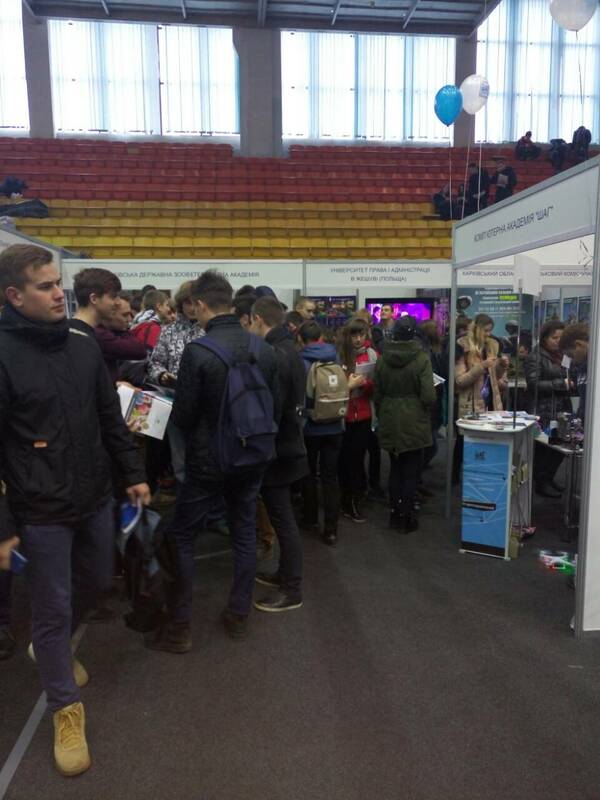 Kharkiv Employment Service became a participant of the exhibition "Education Slobozhanschiny and study abroad - 2017"
Kharkiv Oblast Employment Service takes part in the twelfth specialized exhibition "Education of Slobozhanshchyna and study abroad-2017", which takes place in Kharkiv during November 9-11 at the Sports Palace. Specialists of the employment services during the exhibition will present actual vacancies in the region, inform the visitors about the state of the labor market, provide recommendations for active job search, help with writing a resume. All interested persons can pass computer testing "Profexpert" with the help of which one can define their professional abilities. Representatives of the Kharkiv Center for Vocational Education of the State Employment Service inform the participants of the event with the possibility of studying on working professions such as: a lathe, painter, plasterer, miller, operator of machine tools with software control, hairdresser, cosmetologist, pedicurist, grapevine, etc. "Every visitor can get advice from the employment services, get tested to determine their professional abilities. We will help young people determine their future specialty ", - said the Deputy Director of the Kharkiv Regional Employment Center Anatoly Tolstykh. In general, more than 50 educational institutions are represented at the exhibition: from Ukraine, as well as institutions of education, agencies and institutions of Israel, Germany, Poland, Turkey, France and the Czech Republic. The organizers of the event are confident that the exhibition will help young people make a conscious choice of the educational institution and choose their professional way, and will be visited by a large number of people.